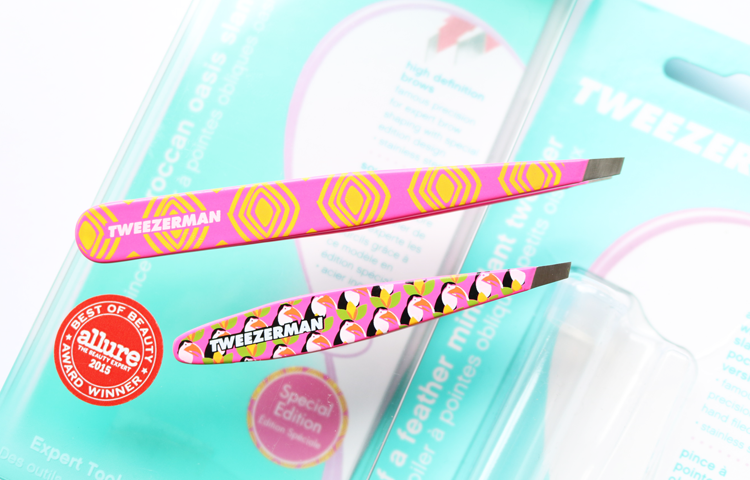 The high-end beauty tools experts, Tweezerman, unveiled their Spring/Summer 2016 range a few months ago and I have some of their colourful pieces to share with you all today. 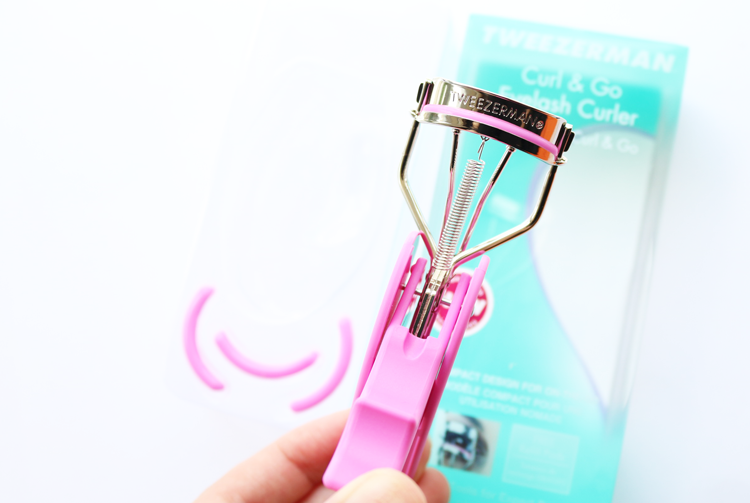 I've long been a fan of Tweezerman's tweezers which are still the best that I've ever tried, and purchasing a pair is almost like a beauty rite of passage similar to getting your first Shu Uemura eyelash curlers! Aside from their bestselling tweezers, they also have a full range of other high-end beauty tools, some of which are quite innovative. Below is just a small selection of their new Spring/Summer 2016 range to give you an idea of what they have to offer. Tweezerman have a whole range of makeup brushes, and this Mini Contour Kit is the latest addition to their Brush iQ collection. This kit comprises of three products; a Mini Pointed Foundation Brush, a Mini Contour Foundation Brush and a full-size Blending Sponge. Don't be fooled by the 'mini' tag though - these brushes are a very generous travel size and are much larger than any of my other travel size brushes. To put their size into perspective, they're only about a quarter smaller than a full-size Real Techniques brush, so they feel substantial and easy to hold/use. The bristles are cruelty-free and made from synthetic Naturafil quick-drying fibres, which also makes them super soft, but not flimsy. 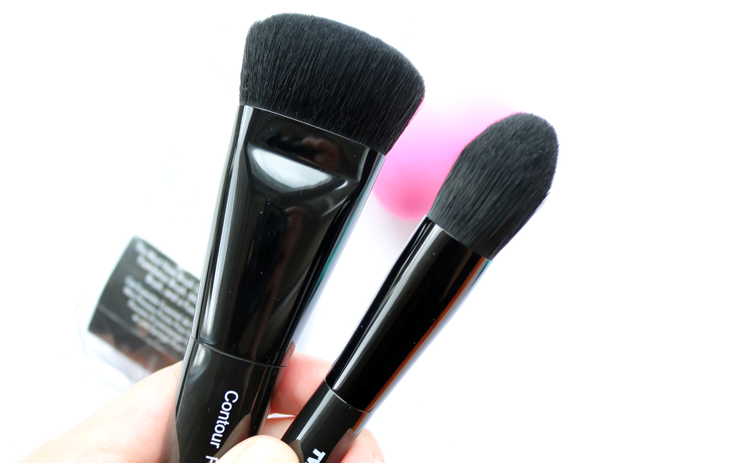 Both of the heads for these brushes are short and densely packed so that you an achieve an easy contour line that can be blended out by the same brush. 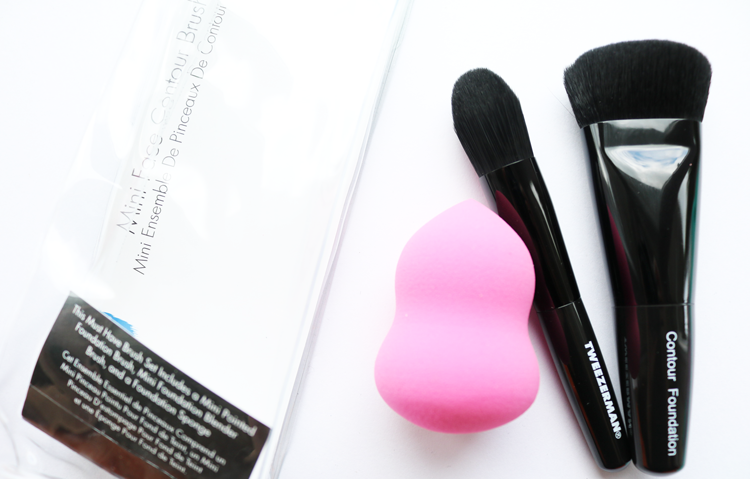 The Blending Sponge is hypoallergenic and made from a bouncy, firm latex-free material - perfect for using with any liquid foundation, and it delivers very similar flawless-looking results like the original Beauty Blender does. 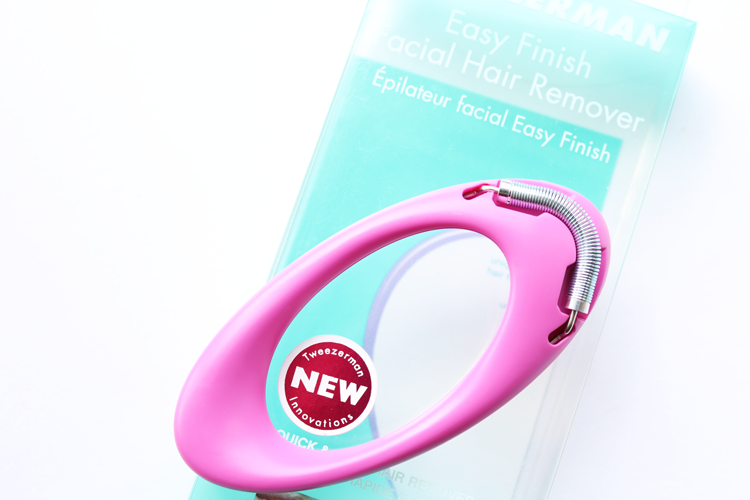 This kit is on the pricey side as all products from Tweezerman are, but they are definitely high quality! Every season, Tweezerman brings out new designs for their coveted tweezers and these two colourful newbies inject some instant sunshine into your makeup or travel bag. The Moroccan Oasis ones are inspired by fashion block prints based on contemporary Moroccan designs, and the Birds Of A Feather Minis have an adorable, fun tropical toucan print on them which I just love! Both of these tweezers are the same award winning ones that Tweezerman are known for, it's just that the prints are different. They're both made from high-quality stainless steel, are sharp and grab the smallest hairs so you can get a really precise and professional looking finish with them. I've used them for years (they last years too) and they are still the best! This little hand held, innovative device, is a handy product for your travel bag if you're keen to stay well groomed on your holiday. It features a plastic ergonomic oval design that fits comfortably in one hand and has a curved metal coil spring at the top. To use it, you move it up or down against the area that you want to remove hair from, and the springs quickly pluck it out. It's a little tricky to use at first but with some practice you soon get the hang of it. 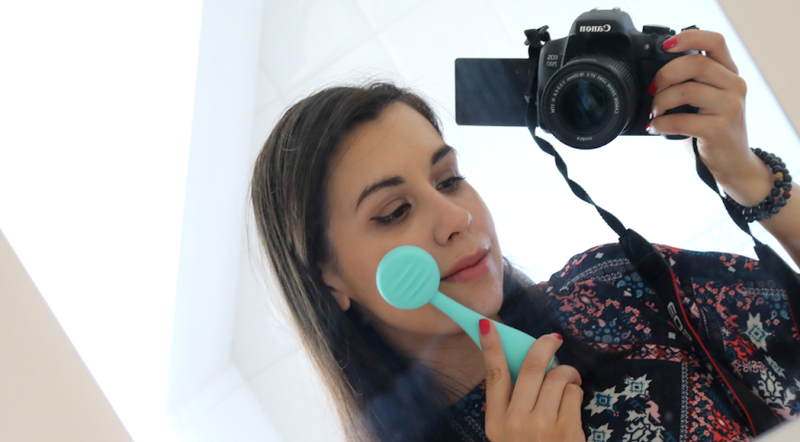 You can use this anywhere on your face and neck, so it's ideal for the upper lip, chin etc. 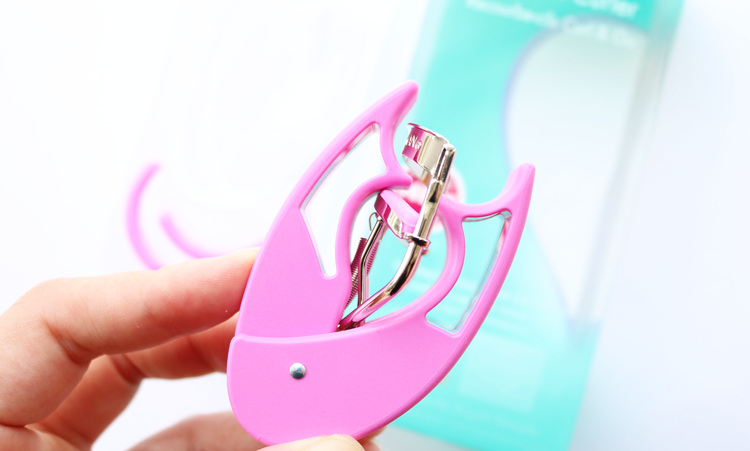 When I first saw these, I thought that they looked like the best idea ever as I often worry about damaging my expensive Shu Uemura eyelash curlers when they're in my travel bag. 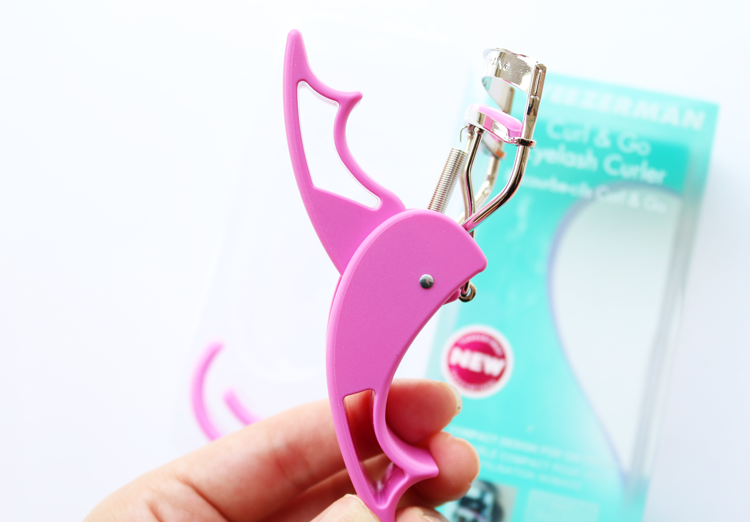 This new concept from Tweezerman essentially folds up a full size eyelash curler into something that's a bit bulky but slightly more compact, and it protects your curlers from getting bashed around in your bag. Unfortunately, this just didn't work for me. There are no finger holes which is the main problem with it so it's difficult to use and hold. 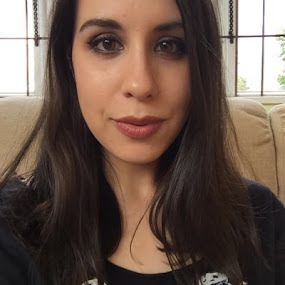 I also found that I couldn't put much pressure onto it without my fingers slipping away which meant that I couldn't properly curl my lashes. Great idea, but it didn't work for me in practice. Are you a fan of Tweezerman? 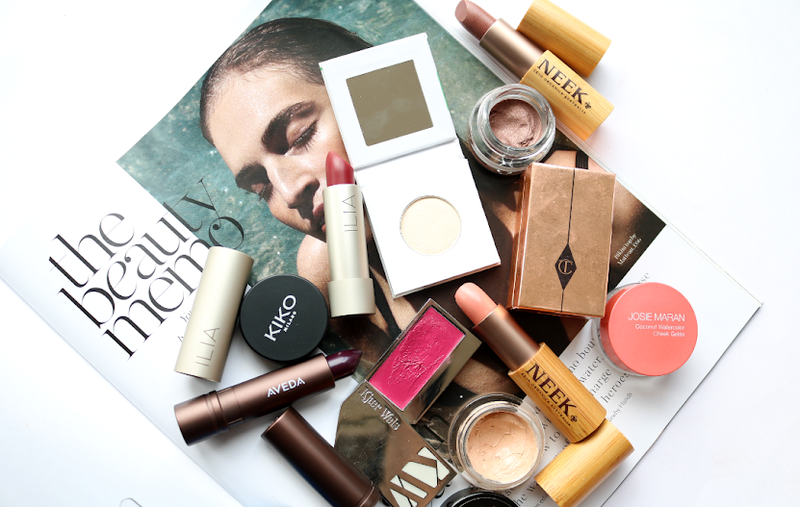 Have you tried any of their products? 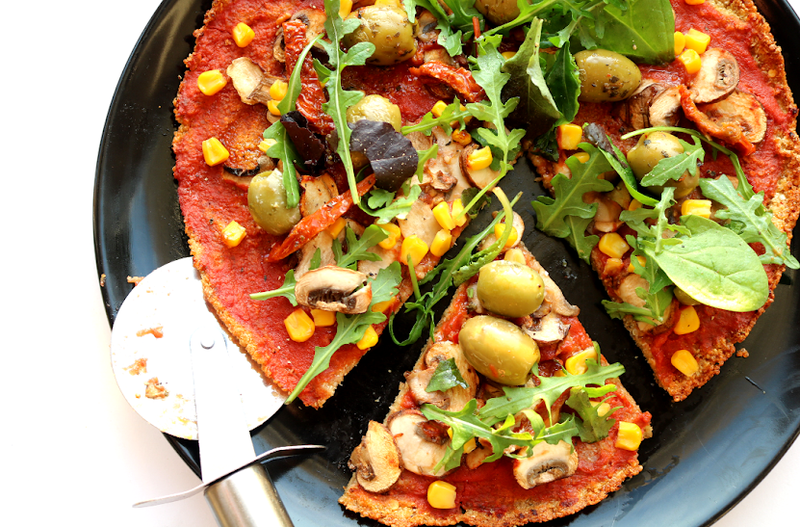 It's a good one to try!